In the digital age, smaller is better. Yes, it actually works! 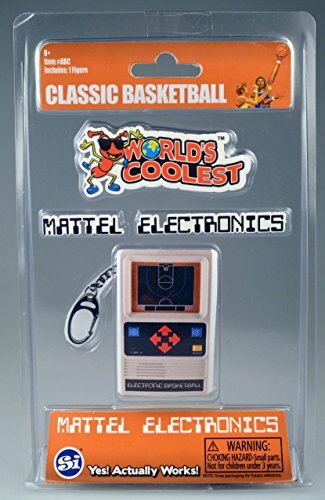 Play the Classic Mattel Basketball game on this mini keychain! Now you can collect the coolest retro toys and electronics ever in miniature form! If you have any questions about this product by World's Largest Bubble, contact us by completing and submitting the form below. If you are looking for a specif part number, please include it with your message.